The quest for finding the best roach traps isn’t a pleasant one. Nor is it ever done for joyous reasons. Yet, sooner or later most homeowners find themselves in need of roach traps. Cockroaches are the type of pests that attack completely indiscriminately. In a way, you can say that they are more “just” than people. Joking aside, however, cockroaches are more than just disgusting pests – they are also very dangerous ones because of the hundreds of different diseases and contaminations they frequently carry with them. Whatever the household, if a cockroach infestation is present, immediate action should always be taken. What kind of action, however? Cockroaches are extremely long-lasting pests, and there is a reason why they’ve survived for millions of years and have outlived the dinosaurs. Simply killing one or two of them with your slippers in the middle of the night isn’t really an effective control tool when there can often be hundreds or thousands of them living in your walls and your crawl space. Instead, the market has several main tools for cockroach control to offer. One of the more popular of them – roach traps. Roach traps aren’t really anything new on principle – people have been using different variations of roach traps for as long as they’ve had to deal with the question of how to trap cockroaches. Being quite quick on their feet and very elusive, however, roaches aren’t that easy to trap. A mouse can be trapped in a cage, but a roach can’t. As a result, roach traps have evolved pretty significantly over the years and are still a subject of improvement. They also come in a lot of variations, they have different uses, and so on. And as with any other product group that exhibits a wide array of variations and options, picking the right roach trap for your home can be challenging. 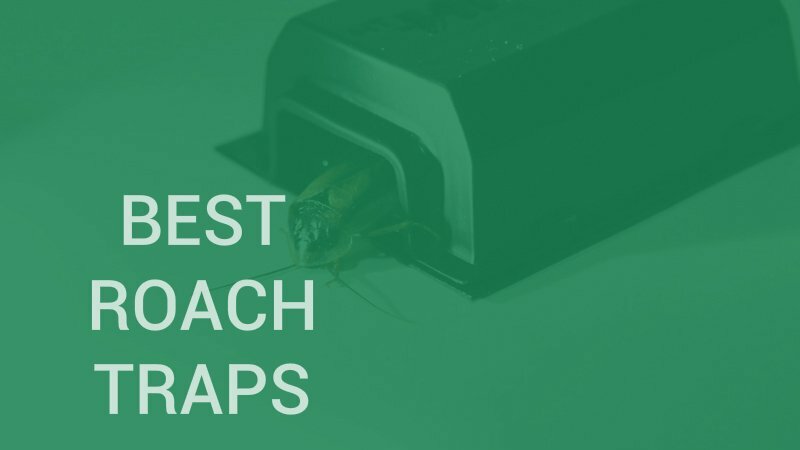 To help you out, we decided to do as much research as possible and gather a list of the best roach traps on the market right now. We’ve divided it into two sections – a Top 3 and an additional list of the 7 best “runner-ups” you also ought to consider. To help you even further, we’ve also added a guide on how roach traps work, what are their main variations, what are their main alternatives, how to buy roach traps, can you make roach traps yourself, and more. We hope to save you as much research time as possible with this article, as well as guide you in the right direction. After all, if you’re reading this, you’re most probably dealing with a roach infestation right now. The Black Flag roach motel roach traps come in a 12 x 2 pack for a total of 24 traps (2 traps per box with 12 boxes in the pack). Small and inconspicuous boxes, these traps are easy to place in various different places with attracting people’s attention, but while effectively luring cockroaches and other insect pests. Despite their small size, these traps are very useful against all kinds of bugs such as cockroaches, palmetto bugs, spiders, scorpions, ants, and more. Of course, due to their small size, they are impractical against rodents, including just as a detection mechanism. Being set in enclosed boxes, these roach motel trap boxes are considered to be safe for pets and children. That’s further true thanks to their pesticide-free and non-toxic nature. Still, if you don’t want your pets or kids to play with the traps and limit their effectiveness, make sure to place them in places inaccessible to them. As most other baited roach and palmetto bug traps, these Black Flag cockroach bait traps do have slight molasses or syrupy smell at first but it does fade away after a couple of days. After reading a lot of roach motel reviews we can safely say that the question of “do roach motels work?” is really a moot point. One of the best cockroach traps on the market right now, there’s little wrong with these Black Flag roach motel traps. These traps’ small and enclosed design makes them safe for pets and children. Toxic-free and eco-friendly, these traps can be safely placed anywhere. The alluring baits and powerful glue guarantee the traps’ high effectiveness. Their small size and enclosed nature make them less suitable for bigger pests and rodents. The Black Flag cockroach bait traps are intended for light or medium cockroach or bug infestations and can’t work as the primary killing source against heavy infestation problems. This Alazco cockroach glue trap is a great eco-friendly and non-toxic way to keep your home clean from cockroaches, spiders, ants, and other insect pests. It even has its usefulness against mice and other similar pests as a monitor and detection trap. By passing through the roach traps even bigger rodents can leave noticeable marks on it as to be easily discovered. And if the mice or other rodents are small enough, the Alazco roach glue traps can even be used to glue them down and trap them. The Alazco pack of cockroach traps contains 12 glue boards. Each trap has a surface of 5.25″x 7.75″ with the glue covering approximately 4.5″x 6.5″ of it. The traps can be placed on the floor either flat or folded, as is more suitable for the particular area. As they contain no pesticides, the Alazco traps are suitable for all kinds of places, whether homes with pets and small children, ones with pregnant women, commercial kitchens or food storage units, and other places where the use of heavy chemicals and poisons is not preferred. Simple and straightforward in their design, these Alazco work simply by gluing down and thus killing anything that passes over them, either by accident or in search of a bait. The traps don’t include any baits so you’ll have to place baits in the middle of them yourself. On the plus side, you can choose whatever bait you want, depending on what you are hunting. Strong glue guarantees perfect adhesion and effectiveness. Simple to use, these traps easily answer the question of how to trap roaches – just place them wherever you want, put some bait on them and you’ll be set. Since they are flat-surfaced, the traps work great as rodent monitor traps as well. The traps don’t come with baits so you’ll have to provide those yourself. Fortunately, cockroaches are pretty easy to bait as they consume virtually anything edible. For maximum result choose chocolate, sugar or other sweets. Becase bring us this cockroach sticky trap house. With each box, you get 10 packs of sticky paper houses with 10 baits for the traps. Non-toxic, without any drugs or pesticide, these traps work by simply baiting the roaches into the sticky paper houses and keeping them stuck there until they die. 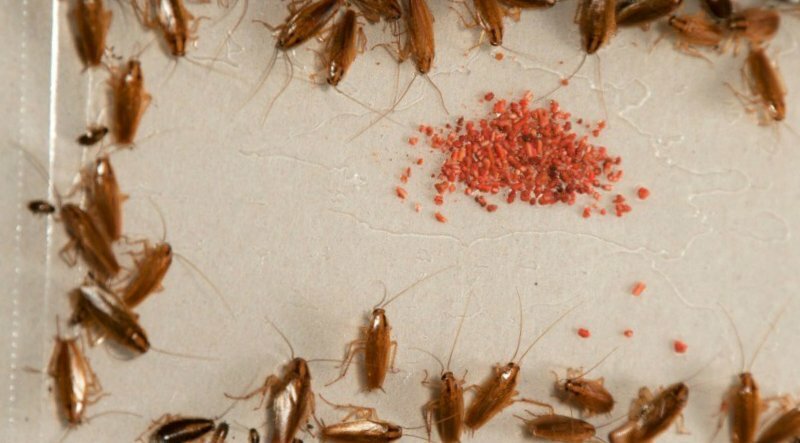 The bait attracts all known types of cockroaches, as well as a lot of other annoying insect pests such as spiders, ants, and many others. It protects the glue from dust which additionally increases its life. 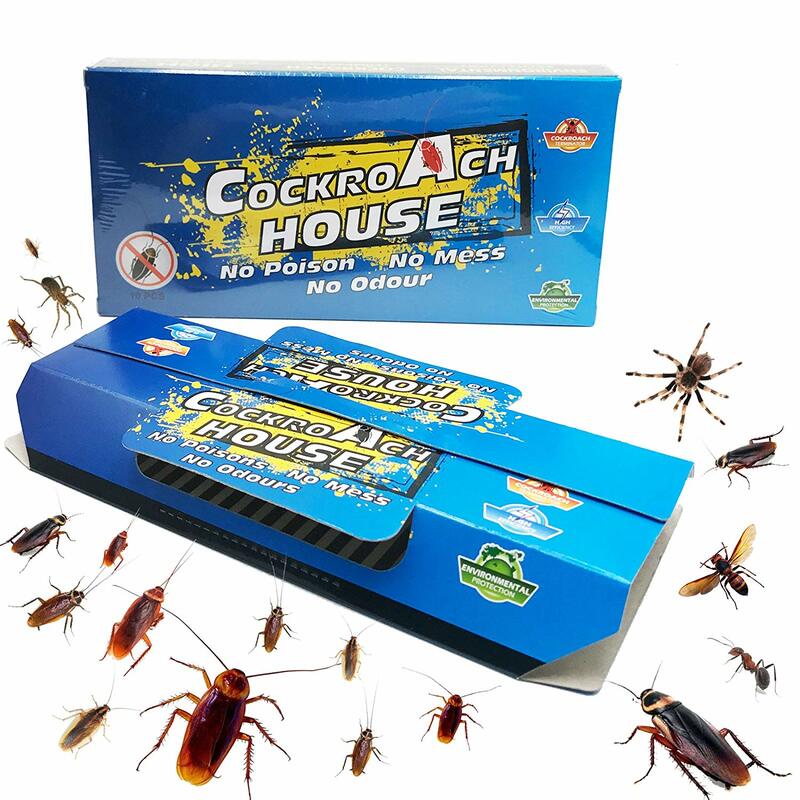 One of the best roach traps on the market right now, the Becase Cockroach House Traps pack will offer you full extermination and month-long protection for your home thanks to its ingenious design and great quality materials. The traps include roofs which protect the glue and the bait from dust particles. The traps feature a special and very powerful glue that offers great adhesion and longevity. The traps are eco-friendly and include no poison and pesticides. The trap is a bit harder to set up than other, more ordinary traps. Some customers have even reported that the “wings” on the roof tend to collapse too easily. The roof of the Becase cockroach house traps also makes them a bit trickier to fit in small places, which is a pity because that’s usually exactly where cockroaches go through. We can’t really just list 3 roach traps and claim to have exhausted the topic. In reality, there are a lot of good-to-great roach traps on the market right now, all with various different designs, shapes and sizes, and all suitable for different situations and against different pests. All this makes choosing the best cockroach traps a rather insurmountable task, so here are the next seven “Runner-ups” you might want to consider. All of them are high-quality products that do what they are intended to do with high effectiveness and efficiency. If the Top 3 weren’t suitable for your home, some the next seven surely will be. Bell Trapper Insect Traps and monitors come in 30 boards with 3 traps per board for a total of 90 traps. Great for detection of all manners of insect pests, these traps are pesticide-free but they also don’t come with a bait. Great for monitoring and detection, they are less effective as a primary extermination tool even though they do kill roaches and other pests if placed in the right spots. Victor Roach Traps belong in any best roach traps discussion for a reason. Pheromone and food scented, these bait-less pet safe roach traps are easy to place anywhere, have three entry points, and are non-toxic and pesticide free. They come in 75 units with 2 traps per unit for a total of 150 traps. One significant downside is that while you get a lot of them with your purchase and they are quite effective, they are rather small with their 1.5” x 2.5” of size. The new Trapro Cockroach Traps with Bait come in a pack of 20 traps. They are eco-friendly and contain no heavy pesticides. The traps are easy to set u, their bait is alluring enough for cockroaches and other insects alike, and they do retain the pests inside. They don’t always kill the pests, however, so you’ll have to do that yourself. Burning or drowning are the most effective methods to do that. The large Roach Busters Cockroach Traps have a lot going for them. 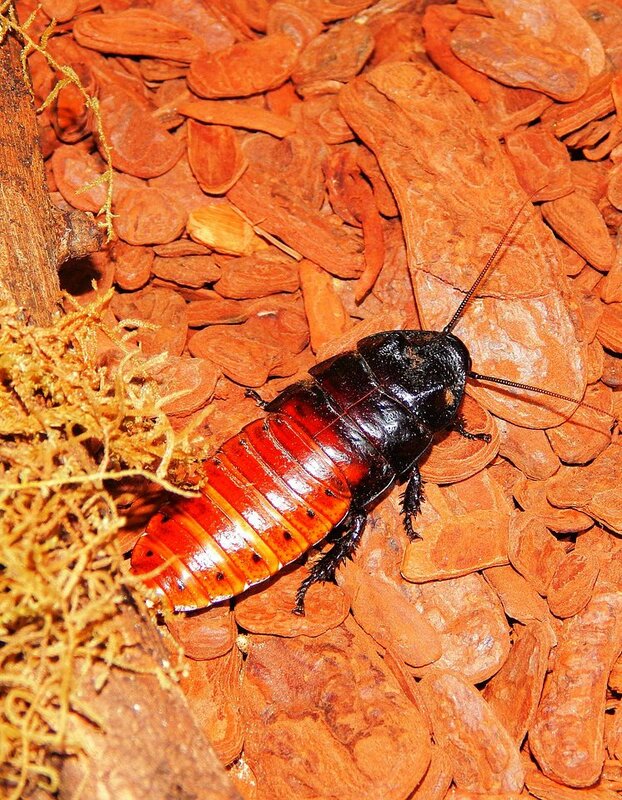 They are toxic-free and eco-friendly, they include their own bait and have a roof to protect the glue from dust particles, and they can keep your home roach-free for months. They are not particularly user-friendly, however, with both the outer body being a bit tricky to assemble, and the bait being somewhat messy and flaked. This 2-pack Harris Roach Glue Traps come with their own lure and are free of any pesticides. They have a simple, yet effective design that also makes them very easy to use anywhere in your home. They slide easily underneath any piece of furniture, as well as most kitchen appliances. This makes them quite pet-safe as they can be well hidden. Extremely powerful, these traps can easily detect any pest or rodent, as well as exterminate most infestations. They do come at quite a hefty price, however. Still, as far as being one of the best roach bait traps, there is little question about that. Another good option for pest control, the Victor Roach Pheromone Traps don’t work with a bait but rather they secrete pheromones. They do that quite effectively and they also have multiple entry points for the attracted insects, as well as a strong adhesive glue to hold and kill them. Each pack contains 48 traps, however, although effective, they do have a rather unseemly and not-too-practical design. And finally, the Greener Mindset Cockroach Trap with Bait is another worthy consideration for any best cockroach traps list. It comes with its own powerful bait and has a very strong adhesive glue. The roof protects the glue from dust particles and hides the ugly insect carnage from sight. However, as a lot of other roach traps with a roof, it can be tricky to assemble. The big size also makes them a bit trickier to place in adequate positions which is crucial when trying to get rid of roaches. Roach traps are fairly simple devices. Most of them are little more than flat plastic plates with super glue on them. You place the bait in the middle of the plate, the roach goes to it, gets stuck on the glue, and dies a slow, horrible and satisfying (to you) death. Simple and effective. Different roach traps may have different designs which do make them more or less suitable for the various locations and situations in your home. But the core principle by which they work is always that – they attract the roaches and they glue them down to death. Capturing a cockroach in any other way is not particularly easy – unlike mice they can squeeze through any container as long as it’s not sealed shut. So gluing them down is the most practical solution. This does reveal a significant weakness of roach traps, however – they kill only the roaches that get in them. Baiting and trapping may be a good way to control the population of, say, bears, but it’s much less effective with roaches. The reason for that is that roaches leave huge numbers of eggs in their nests and these eggs are more or less independent from their parents once they hatch. So, no matter how many adult roaches you trap and kill, as long as there are surviving eggs in the roach nests, you’ll be facing a new wave of roaches pretty soon. Detecting the presence of roaches. If your neighbor’s home was recently invaded by roaches or if you’ve recently seen a roach or two wandering around, a roach trap can help you assess whether you do have an actual roach problem or it was indeed just a couple of wandering roaches. Monitoring the presence of roaches. If you’ve recently gotten rid of an extensive roach infestation, roach traps are the best way to make sure that the buggers are truly dealt with. If any cockroaches are still alive after an extermination then you’ll want to know about it as soon as possible. Preventing future roach infestations. The way roaches invade our homes is by sending roaches everywhere to “investigate” and eventually settling down in places that offered a favorable environment. By killing off any roach that enters your home from the outside before it could lay its eggs you can essentially make sure that you’ll never have a roach problem in your home. Dealing with light or medium roach infestations. While not intended as “extermination tools”, good roach traps can deal with lighter roach problems. Even though they kill only the adult roaches that can get to the traps and not affect the nests, if the roach traps keep killing every new roach that leaves the nest before it has had a chance to lay eggs, then they can deal with the whole problem. Still, their effectiveness shouldn’t be overestimated. A lot of homeowners try to use roach traps for serious roach problems and reach the conclusion that roach traps simply don’t work. That’s how questions such as “Do roach traps work?” start circulating around. They do work, but it’s important to know how and for what they work. What are the differences between roach traps and roach baits? Don’t roach traps use baits? This can be a little misleading – roach traps often use baits to attract roaches in them, yes, but the term “roach bait” refers to another device. Roach baits work in a similar and yet different way than roach traps – they attract roaches with their delicious baits, but they actually contain toxic poison instead of glue. Once the roach consumes the poison from the bait it’s free to keep walking around and doesn’t die then and there. This is a good thing as it gives the roach time to get back to its nest and potentially poison and wipe out the entire nest at once. It’s relatively easy for roaches to get infected from one another – most pesticides used in roach baits are transmitted even just from contact. Add to that the fact that young and small roaches have the habit of eating the excrements of adult roaches until they become adults themselves and it becomes even easier to wipe out an entire nest with even just a single poisoned roach. What other alternatives to roach traps are there? Aside from roach baits, there are also the traditional roach sprays. Most of them work on a similar principle to roach bats – you spray a location with the pesticide, the roaches pass over it, they get infected with the pesticide just by touch it, and they either die then and there or they reach their nest and they infect it too. A sprayed spot with a typical roach spray can remain toxic to roaches for months, depending on the amount of its active ingredient. There are also room roach sprays, which are intended to just be sprayed in the air, toward living roaches. These sprays are meant for people who are so terrified of roaches that they not only can’t wait for the traps, baits or other sprays to do their job, but they can’t even kill a roach with a shoe. By spraying a roach with such a spray you can effectively kill it on the spot, yes, but you’re not doing anything to affect the roach’s nest, plus you are literally spraying pesticides in the air you’re breathing. Of course, there are a lot of natural “roach repellents” out there, as well as a lot of DIY suggestions for natural repellents that are circling the internet. We wouldn’t recommend most of them as they simply don’t work, but there are some commercial spray repellents that utilize natural essential oils that can be effective. Are cockroach traps safe for children and pets? Most roach traps are toxin-free and don’t bring much of a risk for poisoning your child or your pet. Even when do contain some toxins, they are usually in such minuscule amounts that they can hardly do any serious harm to them. The real dangers lie in the trap itself – a lot of traps are made out of cardboard, but others are made out of plastic. Additionally, a lot of them are made out of easy to disassemble smaller parts. So, if your child or pet finds such a roach trap and breaks it down, they can easily consume some of the smaller plastic parts and experience problems with that. In that sense, roach traps present a similar danger to small toys or toys with small plastic parts. Another danger of roach traps is that while they aren’t usually toxic themselves, they do serve as a cockroach killing zone and – at least until you empty them / throw them away – as a sort of cockroach graveyard. And that is about as bad as it sounds. The whole idea of getting rid of roaches is that they bring a ton of possible diseases with them. So, letting your child play with something that contains a couple of dozen of dead roaches in it really isn’t something you probably want. Are small/flat enough so that they can easily be hidden below furniture or behind kitchen appliances, where your kids and pets can’t reach. What is the bait of a roach trap? Roach trap baits can be pretty much anything edible. Breadcrumbs, pieces of fruits and vegetables, anything that a roach would eat. Sugar and sweets are the most tempting thing for roaches, with chocolate being very close to the top of the list. This is one thing in which roaches and humans are not that different. Buying a cockroach trap can be tricky for one very simple reason – most cockroach traps are intended for different usages. Yes, there are objective criteria from which you can judge some as “better” than others or as “best” overall, in terms of the different types of roach traps – they all have their uses. Some are meant to be big in order to trap as many roaches as possible, but that makes them harder to fit underneath furniture or behind kitchen appliances. Others are intentionally really small as to be easily placed anywhere you want, but that usually demotes them to just detection and monitoring devices as they can hardly deal with a full-blown roach infestation. Some are pet-safe and kid-safe in that they are harder to reach or harder to disassemble. Others intentionally come without bait so that you can choose what bait you want to put on them. 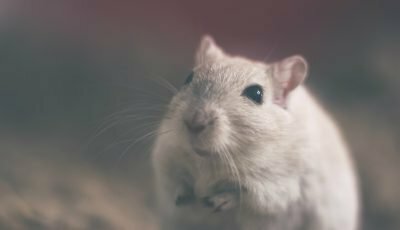 Others don’t even use bait at all but are meant to attract cockroaches through pheromones or to not attract them at all and simply need to be placed in key locations that cockroaches traverse frequently. Do I have children or pets that I need to keep off of the roach traps? As we mentioned above, some roach traps are safer for pets and kids than others, so you should always consider them first if you have either kids or pets. How bad is my roach problem? Depending on your situation you might need smaller “detection” roach traps that will serve as a way to determine the level of the infestation you’re dealing with. 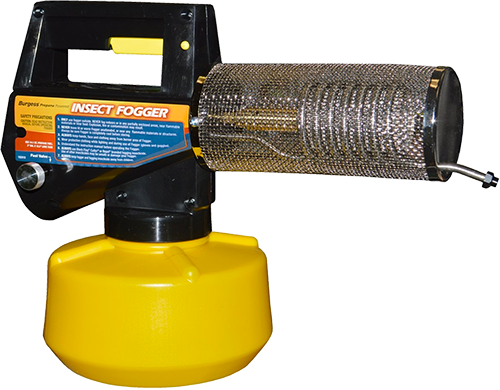 If you know that there are more cockroaches that you’re not seeing they you shouldn’t bother with smaller traps at all – get the biggest roach trap with the most killing potential you can find. Not only that but be prepared to take even more drastic measures soon if even that trap proves ineffective. As we said, roach traps are effective up to a point. How much money am I ready to spend on traps? Depending on how bad your problem is you might need some more extensive measures soon, whether roach sprays, roach contact killers or even have to call exterminators. With that in mind, it’s understandable if you don’t want to spruce a ton of money on mere card box glue traps. Fortunately, most cockroach traps aren’t really that expensive, but it is still something to keep in mind. How big do I need the roach traps to be? Roach traps can vary a lot in their size. That has an effect not only on the number of pests they can kill but also on their size. There are over 4000 species of cockroaches across the globe with some being as small as big ants, while others being as huge as small mice. It’s good to have at least some idea of what you’ll be dealing with, since some roach traps can be too small for some roaches, while bigger traps can be impractical for others. How many roach traps do I need? Some packs of roach traps contain 2 or 3 traps. Others can contain more than a hundred. It obviously doesn’t make sense to buy more traps that you expect to use, but it’s even more annoying to buy a few and have to buy more on the very next day. Assess carefully how many traps you’re going to need so that you can avoid both of those scenarios. Do I want them to come with roach bait or not? Most roach traps come with their own roach baits inside of them, but a lot of customers prefer otherwise. That’s because more often than not the baits inside the traps are not as effective as something that you can put in them yourself. There are a lot of things that cockroaches are happy to eat – they didn’t survive for as long as they have by being picky eaters. But if you want your roach trap to be truly effective you can maximize its chances by putting the most alluring bat possible in it – chocolate! Once you’ve answered these question you’ll be in a much better position to make the right choice. After that, what you need is the research and the information for buying not just the type of cockroach trap that best suits your needs, but one that’s of a high-quality as well. After all, there are good roach house traps and bad ones, there are great roach motel traps, and there are awful ones, and so on. Unfortunately, doing all the research necessary to distinguish the good ones from the bad ones is neither quick nor pleasant to do. Reading customer reviews is as unreliable for roach traps as it is for any other product niche. In fact, it’s more unreliable than most. Because the effectiveness of a roach trap depends not just on the item itself but on how and where it’s used, it’s very common for users to think that they’ve bought a crappy product when in reality they’ve just used it in a crappy way. Under literally almost every product online you can read multiple customer reviews that state that “some of the traps they used from the same worked and others didn’t, so, clearly, not all traps of said are good”, when it’s clear that some of the traps were placed in good places, while others were placed where roaches didn’t pass through. Lack of context, subjectivity, accidental and anecdotal problems, lack of know-how, and so on, are just a few of the many problems that can make a customer review unreliable. Professional industry reviews are also there, of course, and they can be of great use for getting extra information about the product. They too can sometimes be biased, however, so it’s a good idea to read them with that in mind. Once you’re done with all the research too (of which, hopefully, we’ve saved you some), it’s time to make a decision – you know what you need and you know which the high-quality products are. If you’re still hesitating between several products, considering the roach trap’s brand is also not a bad idea. As with other product niches, some brands are known to offer a much higher quality than others. Some of the brands we’d recommend include: Black Flag, Harris, Alazco, Becase, Bell Trapper, Victor, New Trapro, Roach Busters, Greener Mindset, and others. Bonus tip: If you’re deciding between two or three different roach traps it’s sometimes a good idea to buy all of them (provided that you won’t end up with 300+ roach traps in your possession that you don’t know what to do with). Using different types of roach traps at the same time makes it more likely that at least one of them will work effectively enough, plus it will give you an even better idea of which type was the best. DYI roach traps – how to do it and should you do it? Being such simple devices, roach traps are actually not complicated to make. You don’t need a degree in either chemistry nor engineering to make a roach trap. All you need is a piece of cardboard, plastic, or anything else, a nice, powerful and scentless glue, and a delicious bait. So, basically, the glue is the only tricky component. It’s important that it’s scentless so it doesn’t repel the roaches, but also that it’s still powerful enough to hold them still once they get on top of it. If you’re not sure on which of the glues available in your local hardware store can do the best job, you can just make several roach traps using different glues and see which works best. That being said, however, we need to point out that we don’t recommend you to do this. Commercial roach traps are fairly cheap and they are guaranteed to be at least as good of a job as anything you can make yourself or better (provided that you buy an actually good roach trap). So, there really is little reason for you to make your own roach traps, regardless of how easy it is. This is important not because we want you to purchase commercial products, but because roach infestations are not a joke. You may have seen just a couple of roaches last week and nothing more, but in the meantime, you can have dozens or hundreds of roaches in your walls and crawlspace. 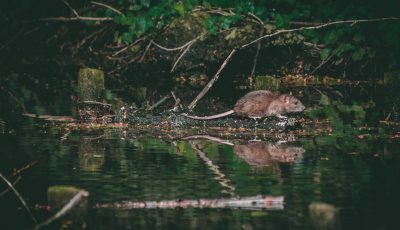 Delaying with even a day can mean the difference between having to deal with the infestation with a couple of traps and one spray can and having to call an exterminator. And as easy as it is to make a roach trap yourself, there’s always the risk of using the wrong glue and effectively losing several days due to that. What else can you do to protect your home from roaches aside from using traps, sprays and other protection methods? The best way of protecting your home from roaches has always been to just keep it clean. Roaches eat leftover food left unattended, be it on the kitchen counter or minuscule bits that have fallen on the floor. They can even lead human or pet hair, skin and excrements that we may have left on the floor of the bathroom or elsewhere. So, if you want to never have to deal with roaches, make sure that they don’t want to pay you a visit – clean your home regularly and extensively and you’ll most likely never have to deal with roaches. Cleanliness is even more important while you’re using roach traps. The idea of the roach trap is to attract roaches to itself with its bait. But if the corners of your kitchen are covered with unintentional “baits” anyway, the roaches will be attracted to them just as much as they’ll be attracted to the trap. Being small, non-toxic, and quickly thrown away, roach traps aren’t really something that you “live with” for a significant enough amount of time. At least hopefully they are not. You may choose to use them at all times, even when you don’t have roaches, just to be sure, but not having roaches doesn’t mean that you can keep the same roach trap up for years. Both the glue and the bait inside the trap are bound to expire at some point – check the individual product’s description for what that will happen, but it’s usually between a couple of weeks and a couple of months. And this more or less exhausts the things that you need to do with the traps once you’ve placed them if there aren’t any roaches present – change the traps every once in a while when they’ve expired. If you do have roaches and the traps are more than just a prevention method, then there’s more to be done. First of all, you need to make sure that you’re placing the traps as well as possible. We already touched upon that but it bears repeating – roach traps may work by attracting cockroaches to themselves but they don’t really have that great of a reach. After all, they are not the only thing in your home that’s “alluring” to cockroaches. So, it’s of the utmost importance that you are placing your roach traps where roaches go through as this way you can be sure that they won’t miss the bait. Additionally, you’ll also need to change the roach traps much more frequently if they are actively capturing roaches. You can’t just leave a trap with a couple of dozen of dead roaches in it and expect it to keep working at full capacity. Not to mention that these many dead roaches are generally something you want to get out of your home as soon as possible. And that’s the gist of it – make sure that the traps are new and fresh, as well as that they are where they are supposed to be, and you should be fine. As you can see, cockroach traps are very versatile tools that can be used in a myriad of ways. 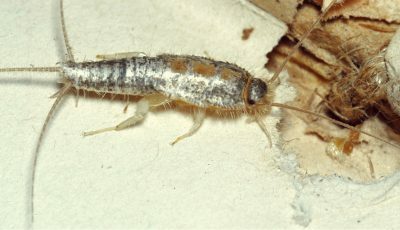 Roach traps may not be the best way to exterminate a full-blown roach infestation, but they are great at prevention, detection, monitoring, and control of cockroaches and other insects. If you’ve ever had cockroaches in your home and want to make sure that it won’t happen again, if you simply suspect that you are at risk of getting roaches (maybe a neighbor’s home recently got infested), or if you’ve just noticed a couple of the buggers running around at night, roach traps are usually the first item you should consider. When used correctly a good cockroach trap will clearly show you whether you have a cockroach problem or not, how intensive it is exactly, as well as start dealing with it and keeping it under control, giving you time to decide whether more drastic measures are needed or not. Add to all that the fact that most roach traps contain no pesticides and are a healthier alternative to roach sprays and contact killers, and their inclusion in your homeowner’s arsenal becomes a no-brainer. 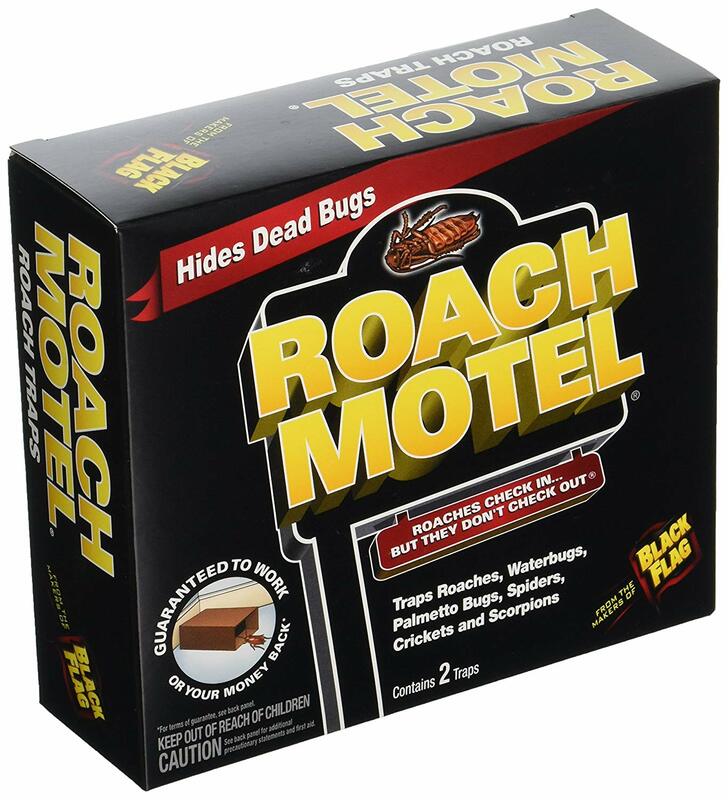 The Black Flag Roach Motel comes in a pack of 12 boxes with 2 traps in each box for a total of 24 roach killers. Small and discreet, these boxes can be placed almost anywhere in your home as long as you know that there’s a cockroach activity there. They are eco-friendly and non-toxic, they have a very strong and irresistible lure, as well as a powerful glue. 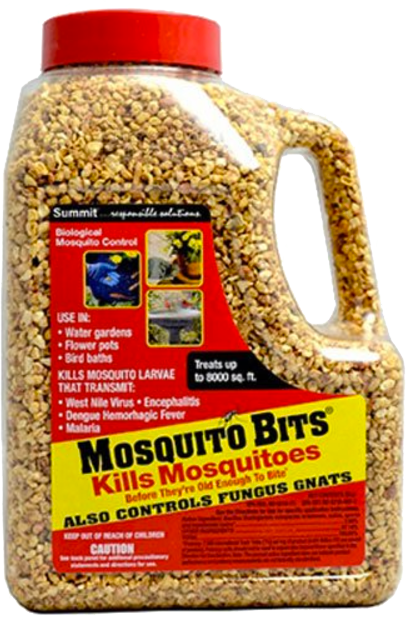 Being rather small, they are not intended for bigger pests, but they work wonderfully for most roaches and other small insects. 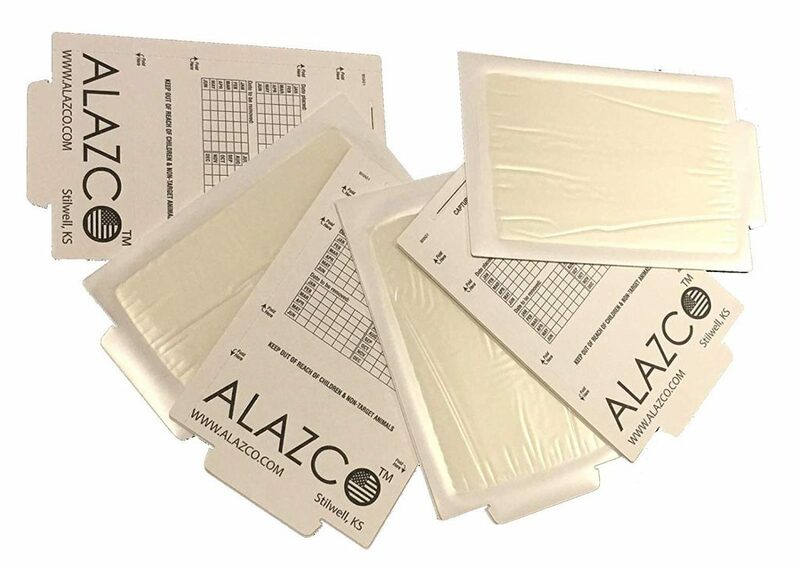 The Alazco Glue Traps are very simple and yet plastic boards with powerful glue on them. 5.25″x 7.75″ in size, they come without bait so you’ll need to put your own bait on them. With chocolate, sugar and other sweets doing a great job at attracting cockroaches, however, that’s not much of a trouble. The Alazco traps are easy to place anywhere in your home and their glue is more than strong enough to capture and kill any insect that makes the mistake of walking over them. The Becase Cockroach House Traps are a great example of why house traps are so effective roach control tools. They contain both an alluring bait as well as a powerful glue. Additionally, the roof feature is there to keep the glue clean of dust particles, effectively prolonging its life, as well as to keep the nastiness of your sight. One downside is that the roof makes the traps both harder to set up, as well as harder to fit in some places that are often frequented by cockroaches.